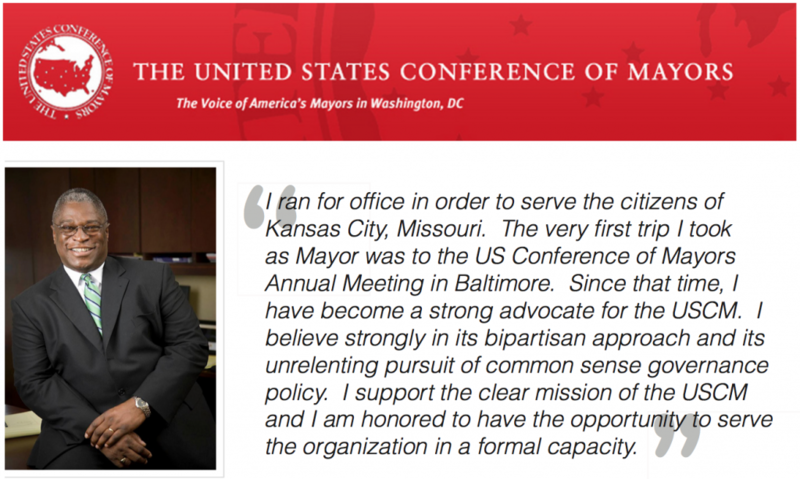 Mayor Sly James was appointed to the Unites States Conference of Mayors Advisory Board on June 24, 2013, at the 81st Annual Meeting in Las Vegas, NV. The United States Conference of Mayors (USCM) is the official non-partisan organization of cities with populations of 30,000 or more. There are 1,302 such cities in the country today. Each city is represented in the Conference by its chief elected official, the mayor. Create a forum in which mayors can share ideas and information. For more information on the USCM, click here.